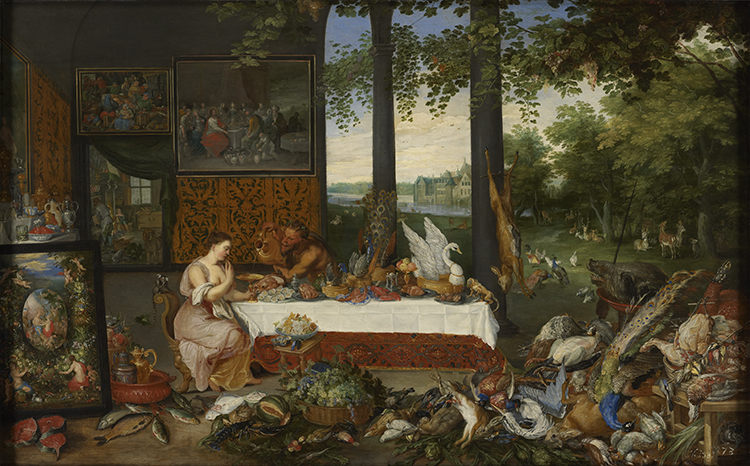 One gallery in Seeing Nature is dedicated to Jan Brueghel the Younger’s The Five Senses series. Painted in 1625, this series is a close copy of five paintings by Brueghel’s father, Jan Brueghel the Elder (who painted the backgrounds) and Peter Paul Rubens (who painted the figures) in 1617–18, now in the Museo del Prado in Madrid. 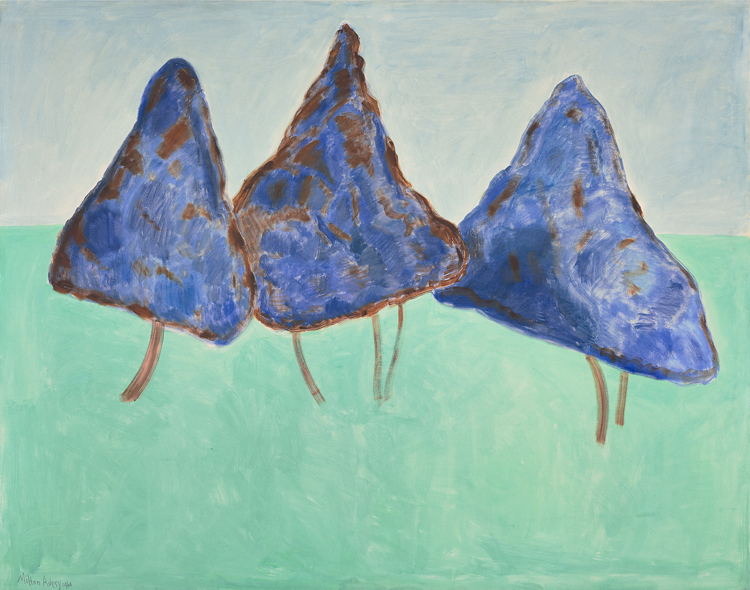 Each painting focuses on one of the five senses, providing a platform for visitors to consider their own encounters with nature. Today we focus on Touch. 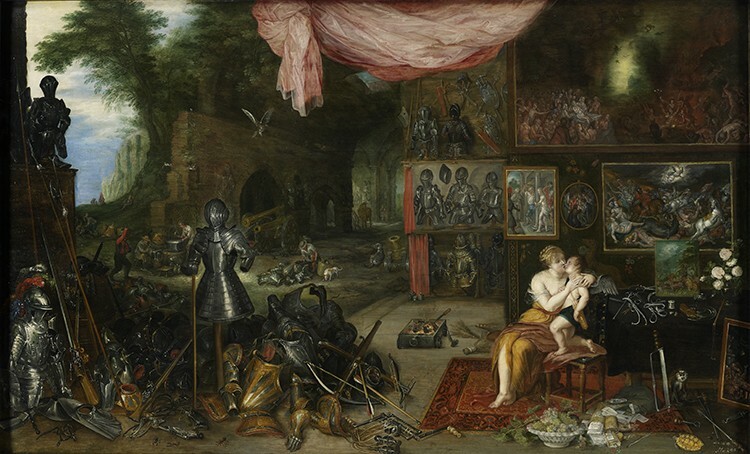 In Touch, Jan Brueghel the Younger contrasts the tender caress shared by Venus and Cupid with a bristling pile of armor and weapons of war. This painting is the only one of the five that does not have an idealized landscape: the room opens out to a hilly view with ruined walls, a reminder of the Thirty Years’ War that was ravaging the Lowlands when the artist was painting these works.